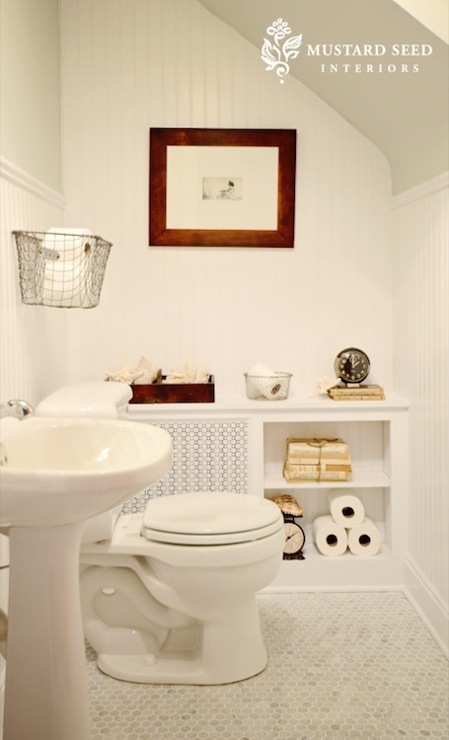 Fabulous bathroom remodel with chair rail & beadboard backsplash, vintage wire baskets, marble hex tiles floor, glossy white pedestal sink and white radiator cover. 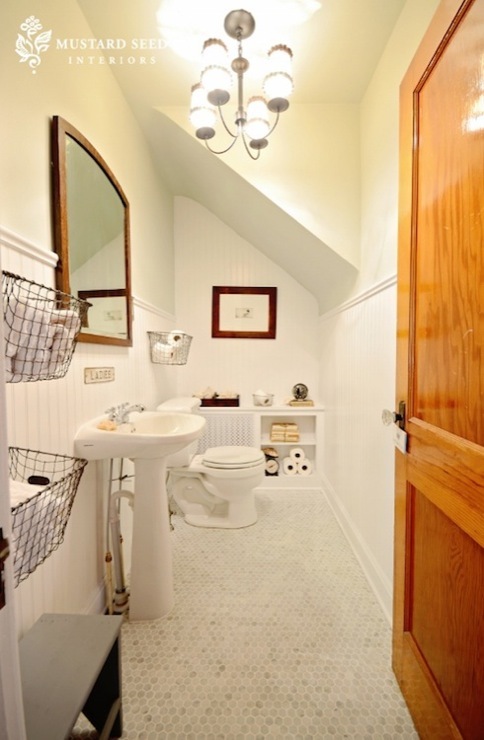 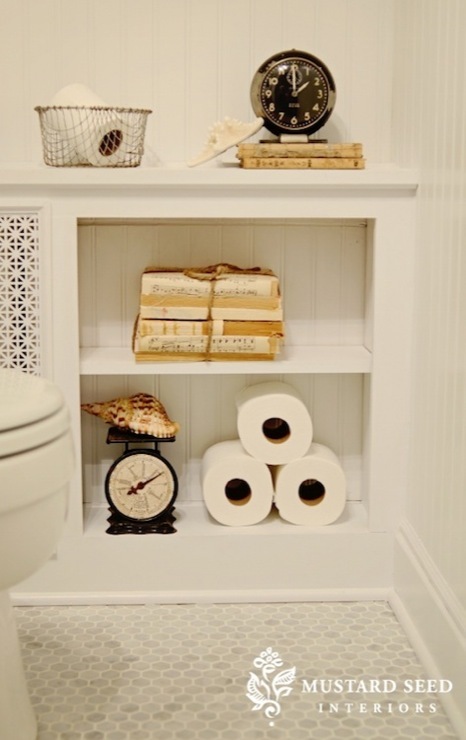 Sweet bathroom design with soft gray walls paint color, chair rail with beadboard backsplash, vintage wire baskets, marble hex tiles floor, white lattice radiator cover and glossy white pedestal sink. 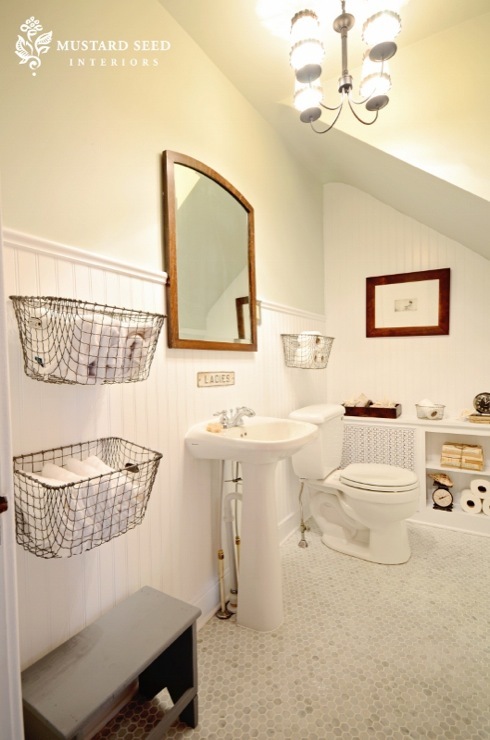 Gorgeous bathroom with marble hex tiles floor, beadboard backsplash, white lattice radiator cover and vintage wire baskets. 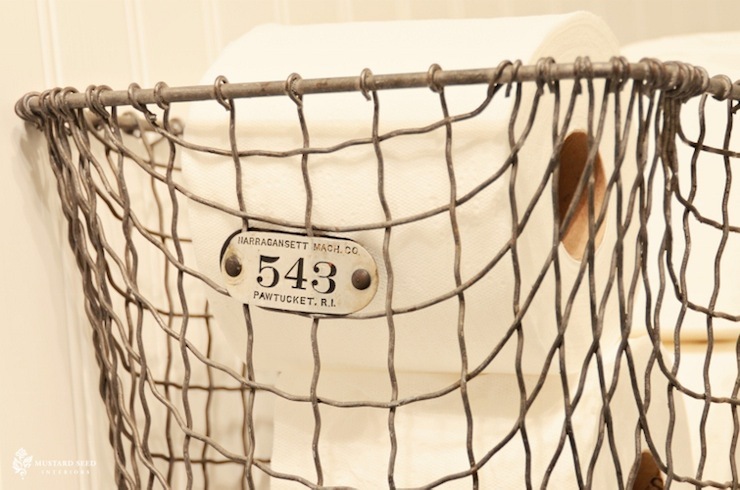 Vintage Locker basket housing toilet paper from The Old Lucketts Store.